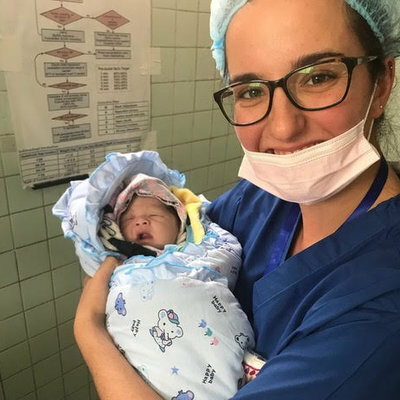 From early on in my midwifery course I knew that I wanted to do an elective placement abroad to experience the world of obstetrics in another country and culture. I decided to plan my trip for the 3rd year of my course and in retrospect I know this was the right time to go; it is so important to have a good understanding of your subject and a level of confidence in it so that you can reflect effectively. I found Work the World through a search on the internet and it seemed to meet my needs perfectly for an elective, allowing me to tailor a placement to achieve exactly what I wanted out of the trip. A friend and I found it very easy to arrange and book our trip and there was plenty of support from the UK team who could answer any questions or accommodate any needs we had. 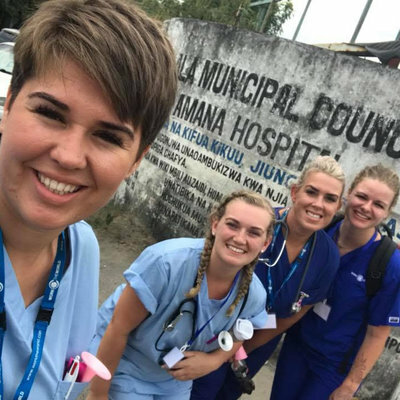 We chose Dar es Salaam in Tanzania because it looked like it combined the sort of ‘back to basics’ midwifery experience we wanted with a comfortable and interesting place to stay and spend our free time. Having the knowledge that our accommodation and transfer from the airport was all sorted made the journey out there so much more reassuring and sure enough after collecting our suitcases, Marc (one of the Programme Managers) was there ready to meet us and take us back to the Work the World house. The house and surrounding area of Oyster Bay is a real eye opener and gives you a safe and comfortable view of Tanzania and the staff there really do make sure that they look after you. Rehema the cook in particular is a real star; she caters for all dietary tastes and offers a wide variety of African and English food. The only downside to living in Tanzania is the power cuts. During our stay we had very limited electricity and sleeping without fans at night and eating in the dark most evenings was one of the tougher parts of the experience. Our time at the hospital was the real experience of the trip. Literally from the day we got there we saw cases we are likely to never come across again in our UK careers and we learnt a whole new perspective on caring for labouring women. The birth rate at the hospital exceeded anything we could have imagined and the conditions were so far from our own that it literally was straight in at the deep end. 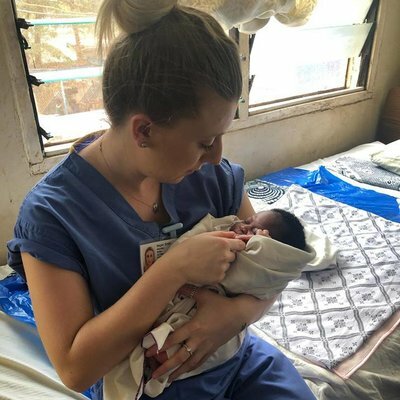 You can be as active as you like with most care on the labour ward, however, we found that to get the best out of the experience we had to work with the staff, particularly the medical students, discussing methods of delivery and western medicine. You have to prepare yourself for a very different outlook on birth, and the phrase ‘TIA’ (This Is Africa) is used to sum up just about everything you will see out there, but the strength and confidence I developed in myself and in my practice out there will hopefully last a lifetime. "I am so incredibly proud of myself for grabbing this experience with both hands and going for it." "Grab this opportunity with both hands and go for it, I promise you’ll regret it if you don’t"
"Doctors put almost every labouring woman on a drug that helps contractions, even if they were already contracting well naturally."